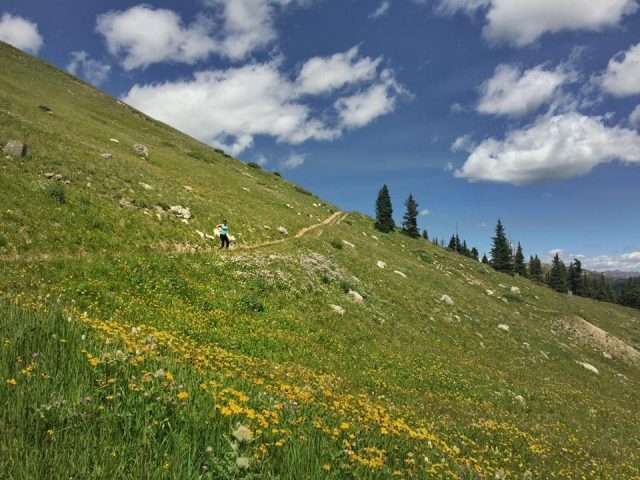 This post is about Summer Activities in Breckenridge, Colorado. And, this is a website and blog about homes for sale and properties in Summit County. What we do is help families buy and sell, and live their dreams. If you’ve visited once, or a few times, you’ll find something new in the following list. This post comes a bit late, but that’s because we’ve had a busy summer, so bookmark it for later. We’ve been working with clients, remodeling details, and a nights of interior design homework that now I am happy to share that Dina is now certified through the Interior Design Institute. What that means for our clients is that we can now add value to our relationship regarding the upkeep and interior aspects of the property. More about that later, for now let’s check out the list of things to do! Stacy…hope you are doing well. I am going to be out there for 3 weeks from June 30-July 23rd. I would love to meet up. Also…do you mind sending me a list of some of your favorite things to do…especially if they are some of your insider secrets;). We have done quite a few things…but I am always looking for new ideas of things to do either in Breckenridge or in summit county. I wrote back : “What have you done that you’d recommend for others? I might write a blog with a list of basic stuff as a starting point and we can go from there.” Her response blew me away. Her list is a classic list of things that every family should have as their own Summer Bucket List for Breckenridge. This is how she sent her reply. A numbered list. Perfect for a blog, so I just had to share. When my kids were younger if the weather was bad we would go the the Children’s Museum. Rainbow Park [in Frisco] with a picnic. We bring a picnic. On certain days they have this big tarp the kids can go slip and sliding down. Vail, to either the farmers market or the outdoor amphitheater. Last year we saw ET. We send our kids to camp on Wednesdays at the Breck Rec Center as they do the excursions with the kids on Wednesdays. The moms and I usually do an adult activity(go to the spa at the Grand Lodge-I think that is what is called…up near peak 7. We have also gone white water rafting and zip-lining. I have also done I think it is called the McGullough Gulch hike (I think your wife had it on a blog), as well as some hike called maybe Blue River? We have gone to the Breckenridge theater after eating happy hour at Hearthstone. We have crepes from the crepe stand…which is always a must do. When I responded, I made a bullet point list of activities for her to research and look up. There are so many blogs, articles and photos of these places online, so be sure to check out classics like the Town of Breckenridge website, Trip Advisor, Mountain Project and MTB project. And, to bring this mega post full circle, I received a message from my friend. It said, “Stacy…thanks so much for the suggestions. We did part of the peaks trail this morning which was fun.” For me, that makes it all worth it. I know she’ll be back to work on this list, and I hope you will too. Thanks for reading!